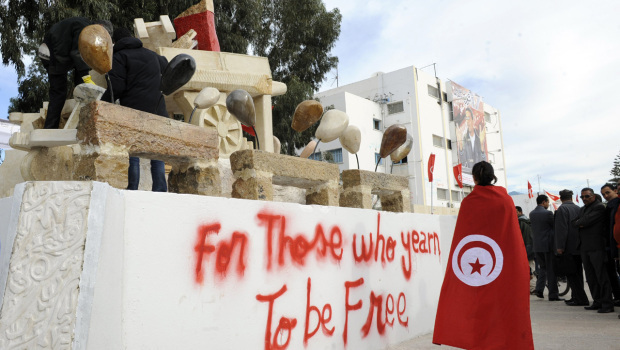 Remembering the 'Arab Spring': Today, marks the five-year anniversary of the 'Arab Spring' revolt starting in Tunisia. In honor that historic moment, this article is re-posted to look back on the events as they unfolded in Tunisia and Egypt. In December 2010, Mohamed Bouazizi, a 26-year-old fruit vendor in Tunisia set himself ablaze on the steps of a local government building in protest of his treatment by police. Ever since then, youth-led protests have erupted across North Africa and the Middle East. Touching off an explosive mixture of economic despair, social frustration, and political yearning throughout the region, the flames consumed not only Bouazizi—who died on January 4, 2011— but, in the weeks and months afterward, the regimes of Tunisian President Ben Ali and Egyptian President Hosni Mubarak. With simple tools like cell phones, they were no longer limited by time, social class or location. Social media tools have, in effect, redefined the whole concept of grassroots, making it easier for the powerless to collaborate, coordinate, and give voice to their concerns. It was the success of Tunisia that turned what was expected to be a small demonstration into a nationwide revolt, says Taha. "We used to say, 'Hey, we are having a demonstration, come join us to change your country,' but no one believed us that it would work. But the Tunisian tsunami gave everyone hope. People realized that if they joined, it would make a difference. And from there it snowballed." In his wildest dreams, Taha didn't expect to see 5,000 people on Jan. 25, 2011. When he counted more than 10,000, he knew that the end of the regime was simply a matter of time. The police wouldn't be able to stop them, and the army wouldn't dare fire on its own people, especially not in front of the media. "What happened on the 25th was a turning point," says Taha. As the protests in Egypt demonstrated, the use of social media tools—Facebook, text messaging, crisis mapping and Twitter—can help loosely coordinated groups demand for massive social change. In another context, there is historical precedence to the use of new technologies to inspire social change. This could be seen in the struggle for African independence more than 50 years ago when a young politician by the name of Kwame Nkrumah used new technologies – telegraphs and mass newspapers! – to draw global attention to his revolutionary call for “Self-government NOW”—an idea considered radical for its time. As the slogan caught on and captured the hearts and minds of the nation’s youth, Nkrumah’s popularity swelled and he eventually personified the hopes of Black Nationalism everywhere. Within a decade, the inspiring young politician shook the very foundations of the imperial system when he became the first black African to lead his country to overthrow British colonial rule. 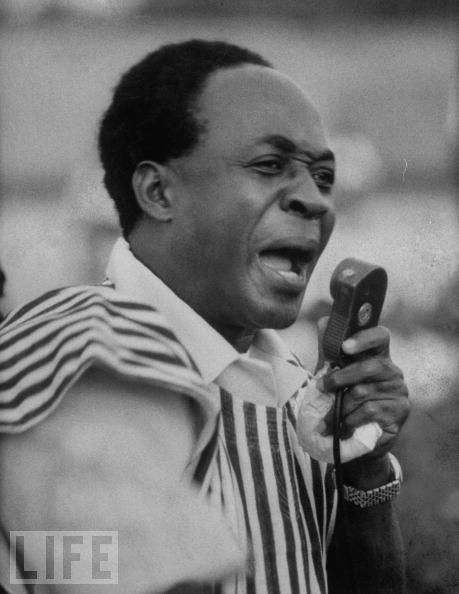 On March 6th 1957, Ghana became the first country in sub-Saharan Africa to gain its independence and Dr. But unlike Nigeria, more than half the population of many countries across North Africa and the Middle East has lived under only one political leader. Libya’s Muammar Ghaddafi came to power in 1969; Yemen’s Ali Abdullah Saleh in 1978; Egypt’s Hosni Mubarak in 1981; and Tunisia’s Ben Ali in 1987. These are countries where the median age is around 25 years. "While Muslim Protesters prayed today, Christian Egyptians formed human chains to protect them. Solidarity, strength and co-existence." . . . an “alliance of civilizations” that sees the joining together of secular, religious and civic groups in common cause for fundamental rights. Follow Erika Amoako-Agyei: Erika Amoako-Agyei is an experienced intercultural trainer & business consultant with business expertise covering the sub-region of Africa. She trains and offers consulting services to global companies and non-profit organizations expanding into Africa. As a visiting professor, she also teaches intercultural communications graduate and undergraduate students. 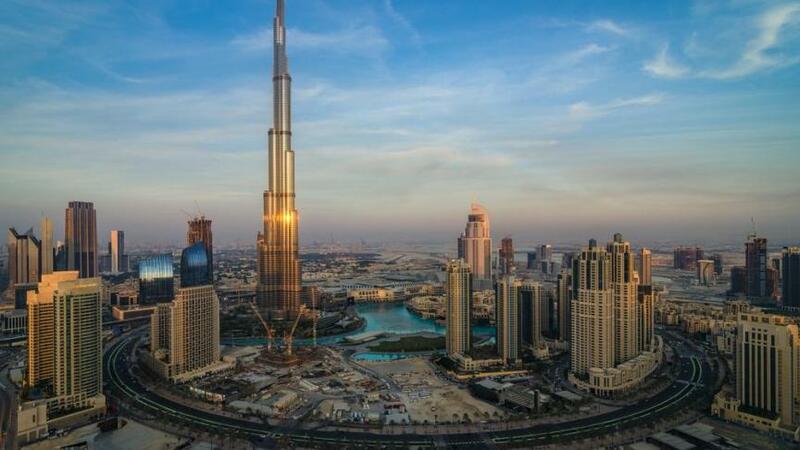 According to a new research paper from Knight Frank, Dubai is set to become Africa’s staging post, as it presents businesses with a well-connected, strategically located trade hub. The global property consultancy released its UAE Industrial and Logistics Research Report for Q3 2015, and noted Dubai’s ability to increase trade with Africa and be a point of entry to the continent’s $3 trillion economy. The report, like so many others, states that Africa’s economies will grow, on average, 4.5 percent in 2015 and 5 percent in 2016 and will have excellent growth prospects over the next ten years. Knight Frank therefore asserts that the rising incomes of African consumers are encouraging companies across the UAE to look west, particularly from the manufacturing/assembly units and warehouses of Jebel Ali Free Zone (JAFZA) and Dubai South (formerly DWC). With much of the continent lacking adequate infrastructure and integration in terms of cross-border trade, it is unsurprising that Dubai stands out as a prospective hub. Moving and storing goods in inefficient warehouses, across poor roads and closed borders are cited in the report as Africa’s problem areas, making it more cost-effective for fast-moving consumer goods (FMCG) businesses to operate from cities such as Dubai than in Africa itself. There has been rapid expansion of airlines Emirates, flydubai and Etihad over the last year into African destinations, against a backdrop of cargo and passenger traffic at Dubai’s airport growing at their fastest pace in May this year since 2013. Much of the goods for infrastructure developments will have to pass through neighbouring centres, such as the UAE’s shipping and aviation hubs, before reaching Iran. As it does not have the access to superior infrastructure that the UAE has developed, Chinese and European goods are expected to go via Dubai. The report also says Dubai will increase its appeal with the further integration of the Dubai South and JAFZA free zones, which will enable seamless movement of goods and services along the bonded transport and logistics corridor from Jebel Ali Free port to Dubai South Airport. What are the opportunities of investing in Africa? In this episode, African experts and CEOs share perspectives on investing across various sectors in Africa and how the challenges transform into opportunities for business. Electricity supply in Africa is in a very sorry state. In many countries on the continent, less than 20 percent of the population has access to electricity; the situation is much worse in rural areas where fewer than 5 percent are connected to the grid. Did you know that all the 48 countries of Sub-saharan Africa (with a combined population of more than 750 million) generate roughly the same amount of power as Spain (a single country of less than 50 million people)? Our continent has arguably the worst electric power infrastructure in the world with the lowest scores in power generation, consumption and security of supply! With an average of 325 days of bright sunlight every year, solar power remains one of Africa’s most abundant but scarcely used resources. 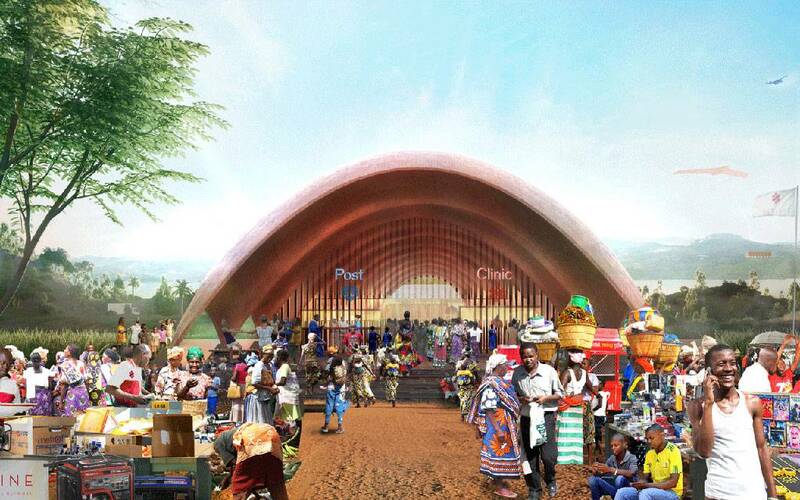 It presents a lucrative business opportunity and makes for an amazing business idea for the continent. Entrepreneurs like Tanzania’s Patrick Ngowi are already making millions from this huge gap between electricity demand and supply. If you're unaware of the solar power revolution that's going on in Africa, this short video will open your eyes to the enormous potentials of solar power both as a lucrative business opportunity and the surest way to bring electricity to millions of Africans! Follow Erika Amoako-Agyei: Erika Amoako-Agyei is an intercultural business consultant with regional expertise on the sub-region of Africa. She works with global companies, non-profits and educational institutions expanding into Africa. Volkswagen is set to receive an eye-watering fine for cheating on emissions testing for its diesel engines; the automotive manufacturer admitted that it used sophisticated software installed across 11 million of its cars. While this seems to be a scandal centred on the US and Europe, it will have global ramifications, including for the African continent. South Africa and Nigeria are the only countries that actually have emissions standards for passenger cars; the South African government has announced that it would investigate the Volkswagen vehicles in the country. But because there are hardly any emissions standards to speak of in Africa, the continent could become the “sink” for all the offending vehicles from Europe and North America. The whole controversy could end up bringing air pollution standards to the forefront of many government’s agendas. There has already been a promise made by East African countries to transition to low sulphur diesel for cars, trucks and buses. The scandal could also impact the platinum industry, of which South Africa is a major producer; according to reporting from Mail & Guardian Africa, 44 percent of platinum demand comes from devices that mitigate harmful gases from cars, particularly diesel. SAP has announced the start of Africa Code Week, a continent-wide initiative to spread digital literacy and simplify access to coding education for young people. From October 1-10, 2015, online sessions and hundreds of free coding workshops will be organized for children and youth aged 8 to 24 across 17 countries: Benin, Botswana, Cameroon, Egypt, Ethiopia, Ivory Coast, Ghana, Kenya, Madagascar, Morocco, Nigeria, Rwanda, Senegal, South Africa, Togo, Tunisia and Uganda. Africa Code Week is part of SAP’s effort to bridge this digital skills gap and drive sustainable growth in Africa. The company already invests in the SAP® Skills for Africa program, which provides additional business and IT skills to recent university graduates. Africa Code Week reinforces that commitment to graduates while extending it to primary and secondary students, creating a full cycle of skills support for young people in Africa. To learn more, visit the Africa Code Week website. ​Follow Erika Amoako-Agyei: Erika Amoako-Agyei is an intercultural business consultant with regional expertise on the sub-region of Africa. She works with global companies, non-profits and educational institutions expanding into Africa. Addis Ababa is set to be the first city in sub-Saharan Africa to play host to a light rail metro system, which comes online this month after undergoing testing since its completion in January. 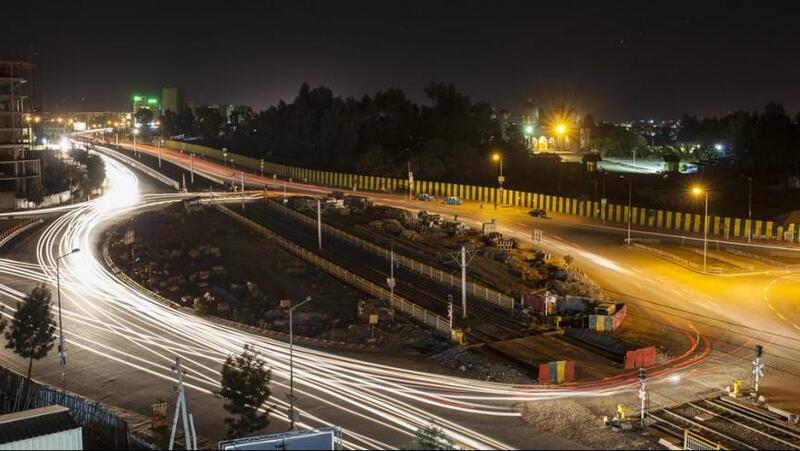 The 32-kilometre Addis Metro line cost $474 million to deliver and is expected to carry 15,000 people per hour in a single direction with an estimated top speed of 70 kilometres per hour. The line is supported by 39 stations (which all have their own names) a network of alleyways, 12 of which has escalators, and 22 elevators. The green trams will from October operate on the city’s East-West route, while those coloured blue are now shuttling between north and south. Fares will be relatively low, which reflects a heavy level of government subsidy. The tramcars rely on power supplied mainly from overhead wires, but authorities have indicated that the system will have its own dedicated grid, including four substations to supply 160MW of power. The metro took three years to construct and was delivered by the China Railway Group Limited after the Ethiopian government secured 85 percent of the required funding from the Export-Import Bank of China. The Chinese were also responsible for training drivers and maintenance workers; another company from China constructed the supporting power system. 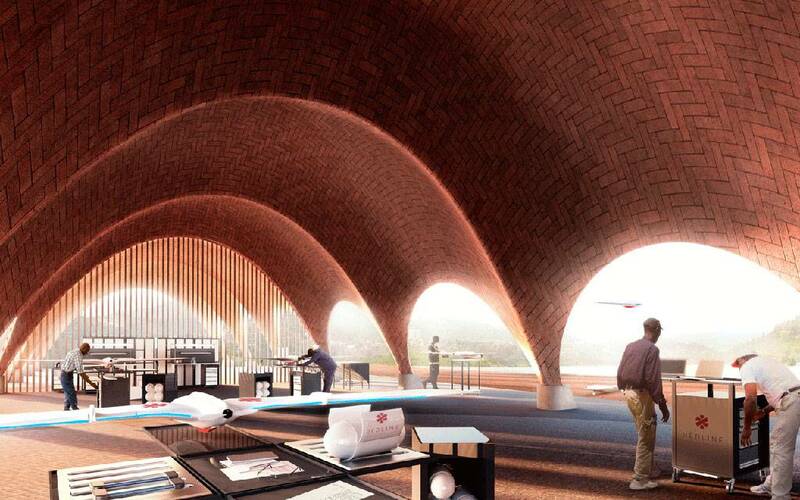 Africa’s only other light rail systems are found in the North, so this development represents a first for all the nations lying below the Sahara Desert. The Top Employers Institute has revealed the top 10 businesses currently creating exceptional conditions for their staff members in Africa right now. Following on from yesterday’s countdown specific to South Africa, we take a look today at the businesses who are taking more of a continental approach and especially those who manage to instil a consistent philosophy of quality into the organisation when it comes to employee satisfaction across numerous countries. 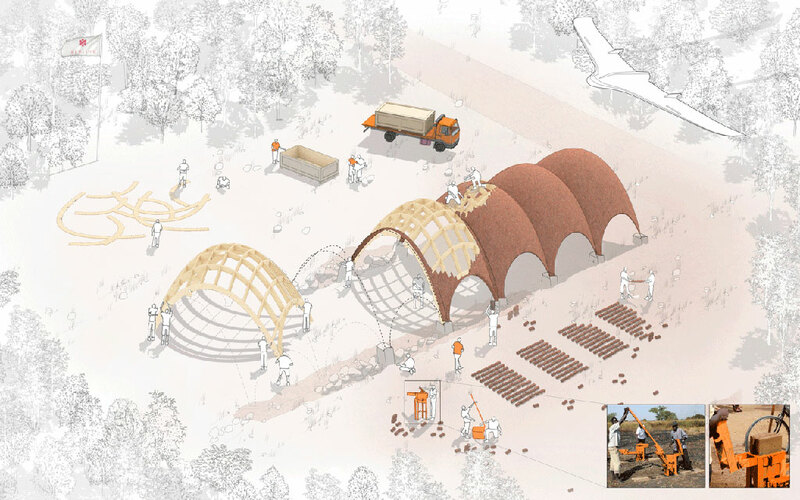 In each year’s list for the entire continent, one standout winner is selected, with the other nine receiving official certification in no particular order. For the purposes of this article, we’ve counted down from nine to two in accordance with continental saturation to establish an official rundown. Regardless of the order though, the global familiarity of the company’s listed and rate of expansion occurring for each of these heavyweight organisations confirms Old Mutual Group Chief Executive, Julian Roberts’ statement that “Africa will be the success story in the next decades…Africa is on the move and it is moving forward”. Split into four subsidiaries situated in the west and east of the continent as well as in South Africa and Zambia, Becton Dickinson’s influence in Africa has flourished since establishing its first office in the latter of those locations in 1995. The global medical technology company’s dedication not only to its own personnel but to the wider African population has been a pivotal reason for the company’s ongoing regional success. Having made South Africa’s countdown, Microsoft’s presence in other key economies including Egypt, Kenya and Nigeria makes its continental influence equally impressive. Similarly to Becton Dickinson, its CSR philosophy through initiatives such as its Microsoft 4Afrika drive is replicated through its employee care and development. “The world is looking for the next growth pole and Africa is positioned to be exactly that. As investors assess industries and sectors to fund, there is a keen interest in exploring the future multinational companies that will come out of Africa,” said Fernando de Sousa, general Manager of Africa Initiatives at Microsoft. Old Mutual is another company to bridge the two countdowns and has done so off the back of its recently revealed plans to expand its operations across Africa to the tune of a R5 billion investment. The company’s ongoing commitment to African prosperity is one that has been engrained into the organisation for more than 150 years. “We believe that the prospects for growth in Africa are underpinned by sustainable, structural factors,” Chief Executive, Julian Roberts said. SAP Africa’s recent focus on mobility is primarily being applied to aid the development of all people in optimising new and sometimes complicated technological innovations. This can stem to independent individuals and businesses but is also very much applied into its internal development, making sure that the company practices what it preaches. British America Tobacco’s vision is to strengthen its position as the leading tobacco company in the EMA region and, since 2007, this vision has certainly reaped rewards from is labours. Overcoming supply difficulties in some areas, the company’s flexibility has been translated into continuous margin improvements and is also subsequently reflected in the productivity and continuous improvement of its employees. Sumesh Rahavendra, Head of Marketing for DHL Express Sub-Saharan Africa, said the key to the company’s success in Africa is due to its customer service and employee commitment. “Underpinning our ambitious growth strategy and pan-African vision is the understanding that attracting and retaining the best talent to deliver seamless and innovative solutions to our clients across the continent is essential.” These the words of EY CEO, Ajen Sita. Sita’s dedication to maintaining EY’s strong influence in Africa is supported by the company’s overall vision to “build a better working world”. As one of the chasing pack behind the likes of MTN and Vodacom, Orange can often rely on its employee satisfaction rates to level the playing fields in what is an ever-swinging pendulum of a telecoms industry. Alongside its people management ethos, the company has also received critical acclaim for its commitment to environmental strategies and particularly the recycling of mobile devices which has been in place for nearly a decade. G4S is the second largest employer in the world and spans 129 countries so it should come as no surprise that the company’s influence in Africa is also widespread. Forming a positive reputation for something as individually significant as working conditions is perhaps even more of achievement though and is certainly something that Regional President for Africa, Andy Baker takes great pride in. “We try to push lead decision making within individual countries; and try to think globally and act locally so that our employees across the region are empowered to make decisions locally and also forge local relationships,” he said. “Across the global business we have a strategic leadership programme, and this identifies talented, high potential people and brings them into project work. It’s official – not only is consumer goods company, Unilever the top company to work for in South Africa, but this same level of quality is officially replicated across the whole of Africa in the eyes of the Top Employers Institute. Taking SAP’s mantle from last year – a year where Unilever also made the top 10 certified list – the company was praised especially for its talent strategy, workforce planning, learning and development strategies, performance management, leadership development, career and succession management, compensation and benefits, and company culture. “Unilever is a global organisation with products sold in over 190 countries. Our HR standards and practices therefore have to be world-class,” said Vice President for Human Resources for Unilever Central Africa, Mechell Chetty. “Africa is no different and its unique challenges and socio-economic landscape should never be a pardon for having anything less than the best HR professional standards. 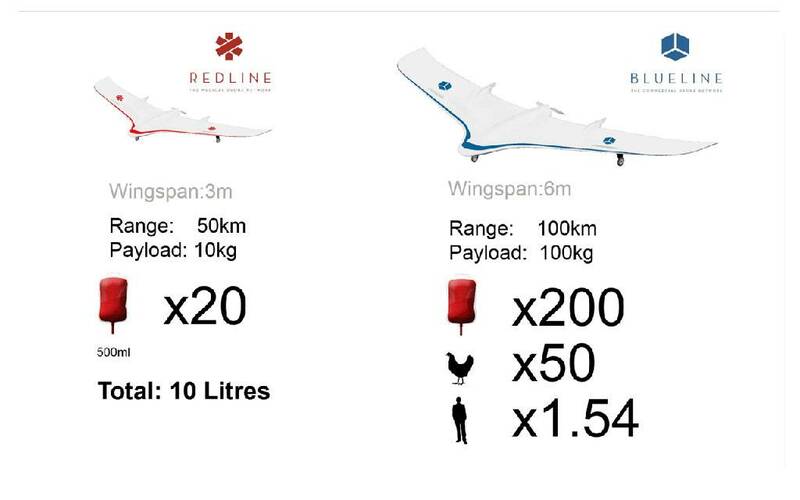 KIGALI - It sounds like science fiction: unmanned drones carrying emergency medicine zooming above the rolling hills of Rwanda. In September of last year, the World Bank Group’s Board of Executive Directors approved a US$519 million project to support Morocco’s ongoing efforts to reduce its dependency on fossil fuels by developing its renewable energy resources. 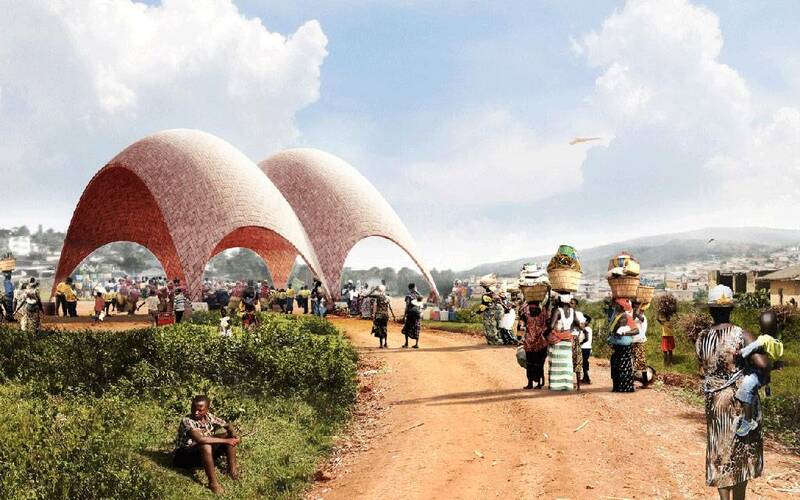 The project was designed to back the government’s strategy of harnessing power from the sun through the use of concentrated solar power technology. 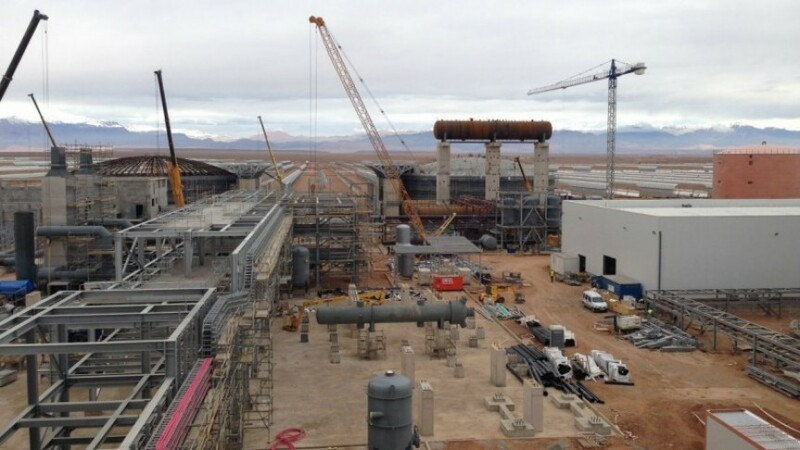 Following a contract recently won in Morocco, the technology and engineering group SENER is beginning construction of the Noor II and Noor III thermosolar plants. Together with Noor I, this project will be the largest thermosolar complex in the world, with a total production capacity of more than 510 MW; SENER’s contract is worth over 500 million Euros. The complex, located near the Moroccan city of Ouarzazate, is made up of four plants. Three of its plants are equipped with thermosolar technology; Noor I has a production capacity of 160 MW and is equipped with the SENER trough cylindrical parabolic troughs and will become operational later this year. “Morocco stands at the forefront of climate-friendly policies in the region,” said Inger Andersen, World Bank Regional Vice President for the Middle East and North Africa. “The country is well-positioned to benefit from its head-start at a time when other regional powers are beginning to think more seriously about their own renewable energy programs. Having been responsible for everything from the turnkey construction to the commissioning of the Noor I plant, SENER recently won the contract to carry out the turnkey construction of the Noor II and Noor III phases along with SEPCO III. All three power plants incorporate a molten salt storage system which makes it possible to produce electricity if there is insufficient solar radiation.